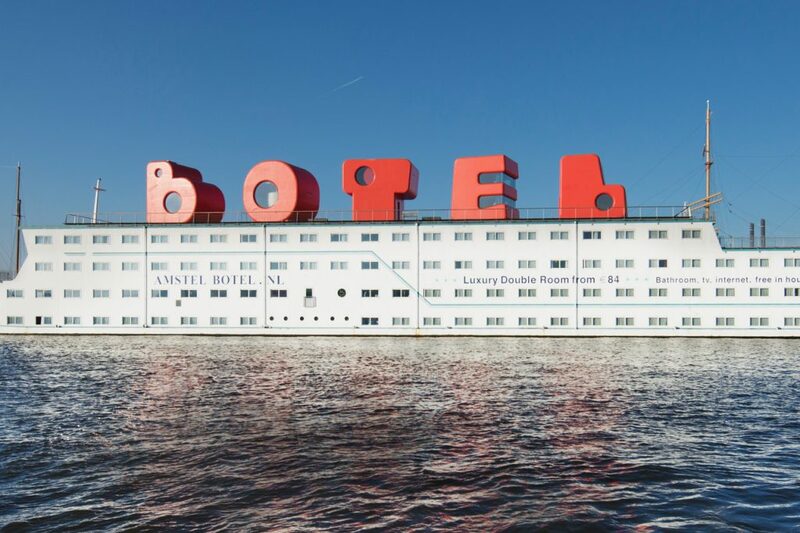 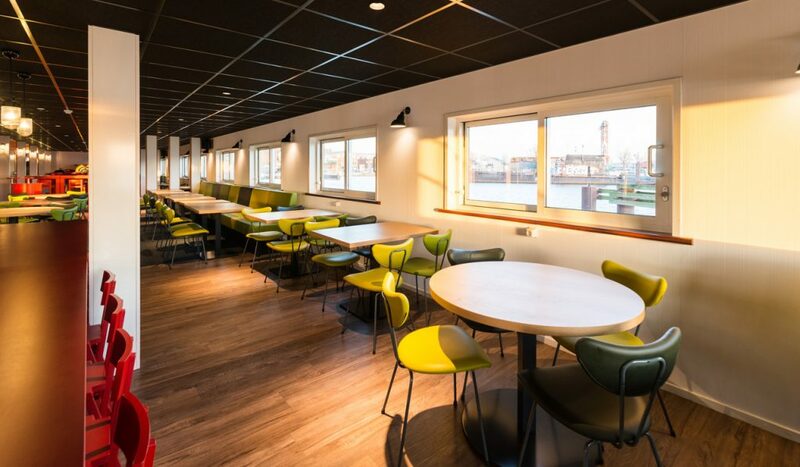 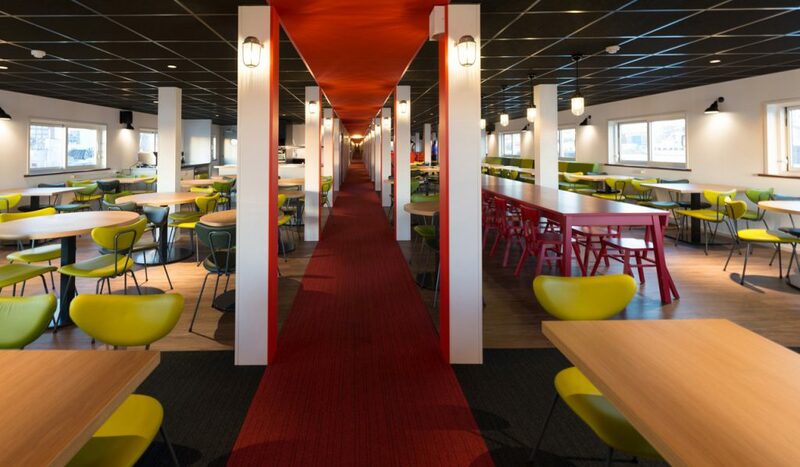 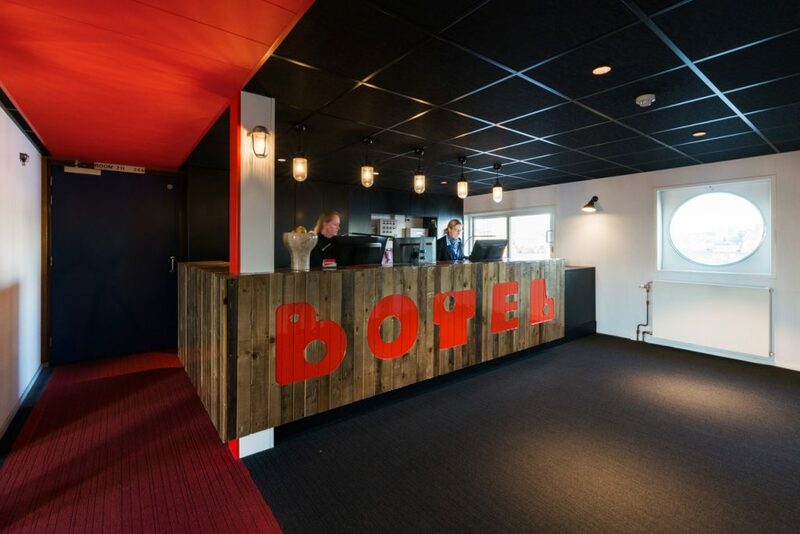 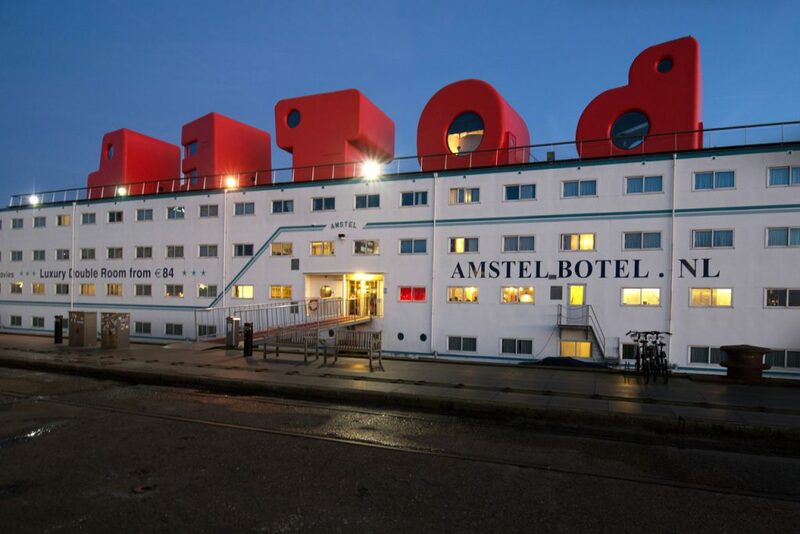 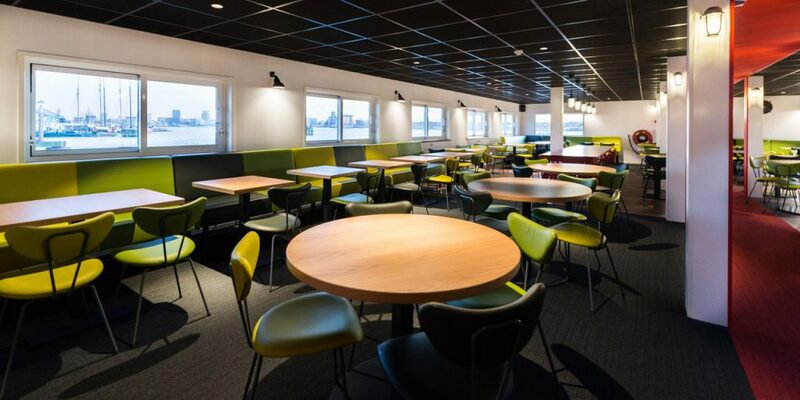 After the iconic ‘Loftletters’ had been added to the Botel, its main floor could also do with an upgrade. 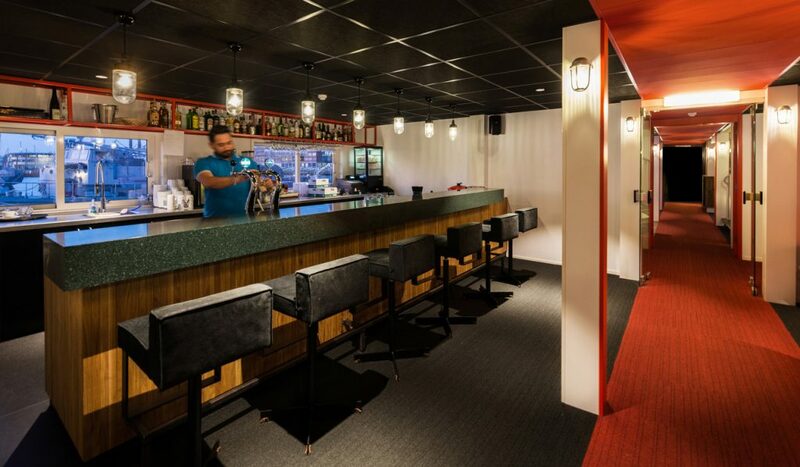 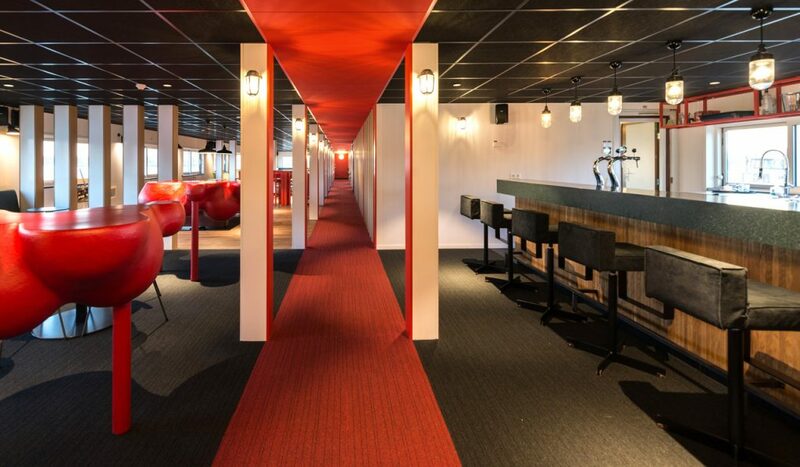 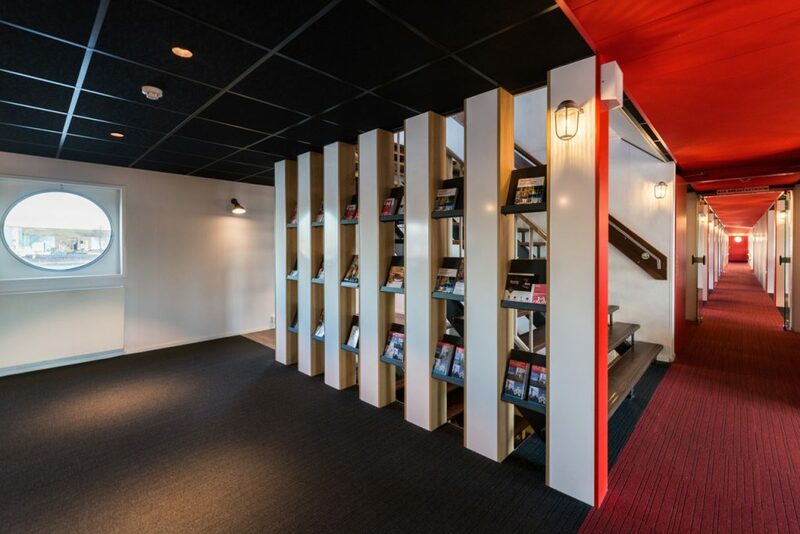 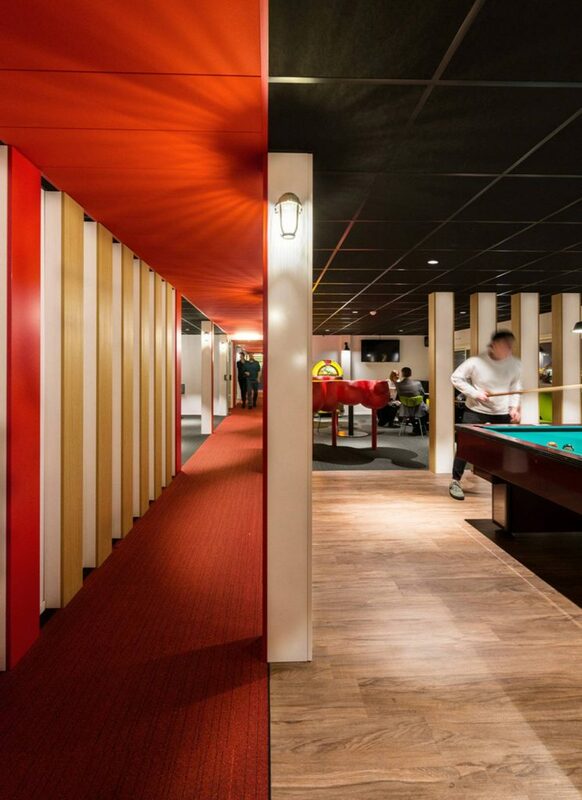 The corridor – in the form of a red ‘spine’ – divides the room into different areas: reception, bar and restaurant. 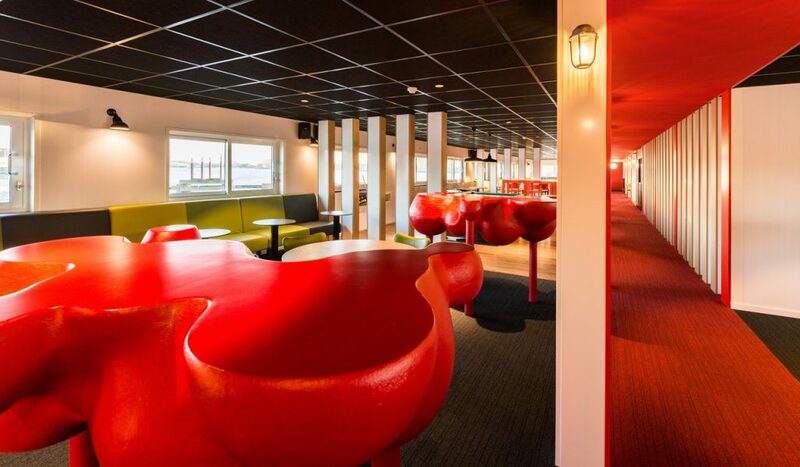 The classic Lensvelt Gispen chairs, combined with their contemporary collection, are the icing on the cake and add to the 50’s cruise ship atmosphere, making the ‘loveboat’ vibe complete.